What i need to fully apply? In the hex editor you need to use "replace all" instead of "replace". Maybe this fixes your issues. If not sorry for the most obvious. megavolt85 and Anthony817 like this. So I wonder, if it would be possible to make the placement or layout of the HUD similar to how it is done on the VS mode? So when you are driving with the behind the car view camera, or in any other versions even like cockpit, the tachometer and other elements aren't superimposed over the car and are off to the sides of the screen? Would it even be possible to use the VS mode version of the HUD in singleplayer? 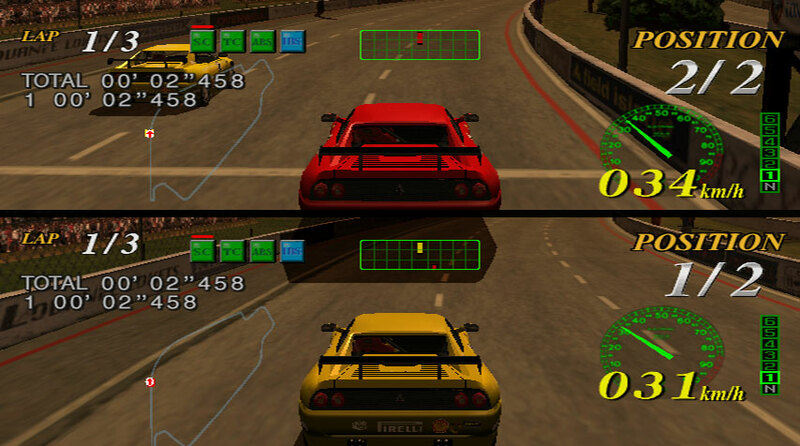 That's something I was thinking about too because right now the hud overlapping the car looks horrendous. Yeah, if it could use those HUD elements, placed at each corner so as spaced out appropriately, I think you could make the ultimate version of this game on Dreamcast for sure! Would be cool if you made both cockpit camera and chase camera discs like with the last release you did. I tried that version on NullDC and it ran and looked great right out of the box. The sega retro wiki only has the codebreaker codes. Is there a database where you guys are adding the hex codes? Excellent question. I've been searching and wondering about this too. All those valuable values deserve to be listed somewhere or perhaps kept in an archive added to a signature which is also common. d123456, zorlon, megavolt85 and 1 other person like this. 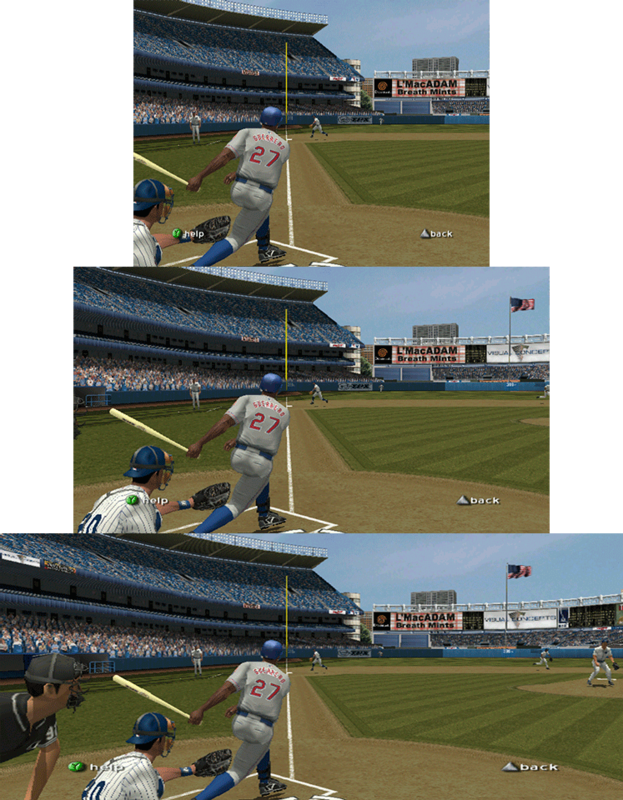 By the way WORLD SERIES BASEBALL 2K2 is the first game I've notice that runs with what it seems native 24bit color depht. Most Dreamcast games suffer from some ugly dithering but this one looks cristal clear on a real Dreamcast, no dither at all. 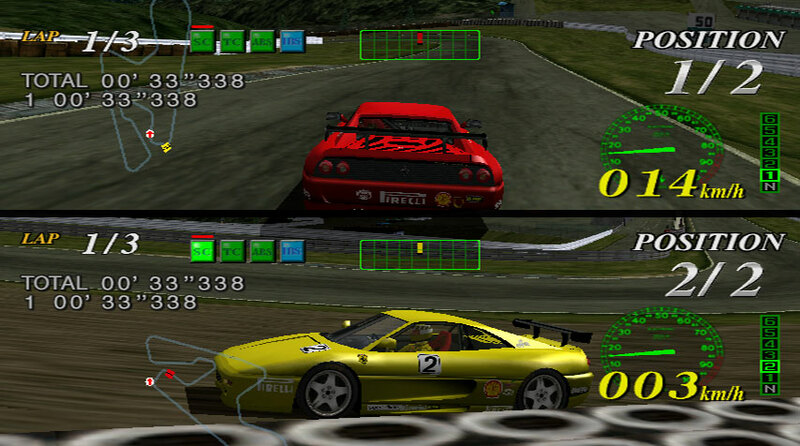 It would ne nice to patch games to display the native 24 bit color buffer instead of the dithered one. d123456, Anthony817 and Shenmue_Trilogy like this. So I wonder why they reduced it to 16 in the first place? Was it supposed to help with performance or something? I am guessing it wouldn't if it is already having to render the stuff natively before processing it down. The Dreamcast only had 8MB of video ram. 24-bit color eats up 50% more space than 16-bit. The frame buffer alone would eat up almost a megabyte without double buffering, so they had to save room somehow. d123456 and Anthony817 like this. On the Dreamcast SDK it says that performance and memory hit between 16bit and 24 bit colour is almost negligible, affair. Yet most games use this color mode. 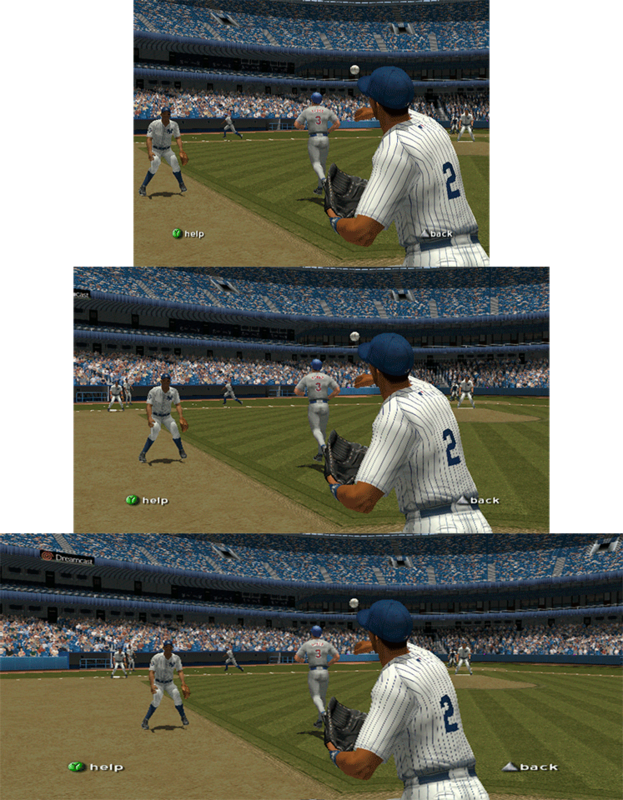 Plus the ps2 has half the memory video yet many games uses higher color depth. For feference Waky racers and ecco the dolphin runs at 16bits of colors on both ps2 and Dreamcast but the dither is way noticeable on the ps2 version, probably just because the original framebuffer is actually 24bits on Dreamcast as opposed to the native 16 bits of the ps2 versions. Would be nice to try. So you are saying Dreamcast games could get even better looking...That would be amazing. I'm sure there are plenty of games that don't actually use all of the video ram, especially earlier titles. There are other ways to make the games look a bit better too. 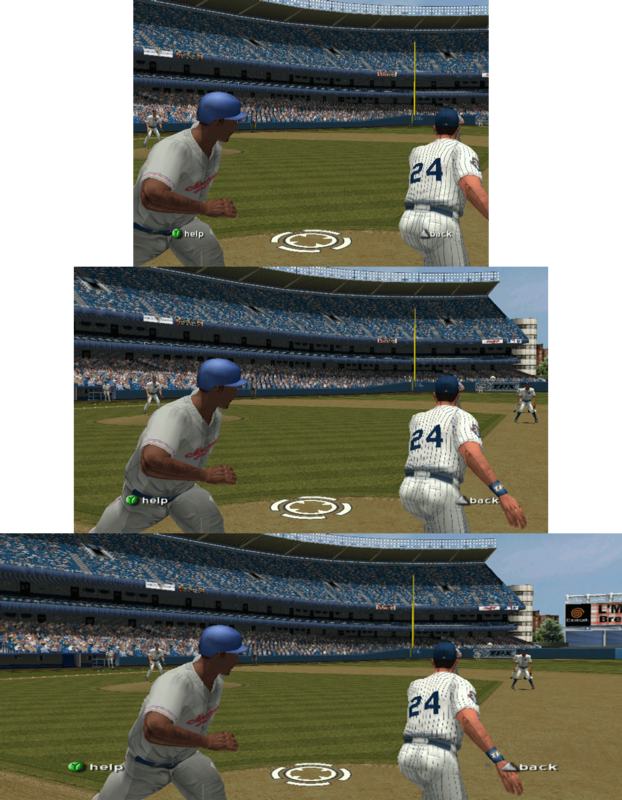 Look at the baseline in the 2nd and 3rd set of screenshots you posted. It looks like white road dots more than a solid line. If the camera was lifted and angled down some it might help reduce the jaggies from extreme angles. The pinstripes look pretty bad too. And little things like the light-color ring around the umpire's collar. With a little texture editing more imperfections could be removed. It wouldn't be accurate but plain white jerseys would look better and maybe the textures would compress better since there is less variation. Little things like that may make 24 bit frame buffer possible on games that are pushing the limit of the VRAM. I don't know if it is possible, but i'd take 24bit color depth over widescreen anytime, games looks way better without dithering. Back then due the fosfor nature of crts it wasnt noticeable, but on hdtvs is very annoying. Ultrawidescreen monitor are becoming common to pc entusiastic gamers I myself am considering buyin one. Sorry wrtiting from my cell. Yeah, the 34" 21:9 monitors aren't too bad price wise. There was a technology called SED that was being worked on back when flatscreen TVs were becoming a thing. Think it was Toshiba. Basically flatscreen CRT, where every triad had its own micro electron gun instead of the traditional gun that sweeps the entire screen. Unfortunately it got dropped. If they could have emulated the scan rate with SED TVs, light guns might have still worked. Hello! I I love so mutch yours job. Can you help-me ? Thanks! For Cannon Spike I was not able to get 16:9. It's just 4:3. I used some UK iso. Only one occurence found. What does this mean? I googled every bit, but nothing comes up. Did anyone succesfully get this working in 16:9 and what version did you use? Esppiral do you mind porting the Rez PAL code to Rez RDC release? It's the only version that I could find online and it hangs with the code. I tried converting the Rez PAL gdi to cdi without luck so far, spent about 5 discs trying that, even using FamilyGuy's toolbox.